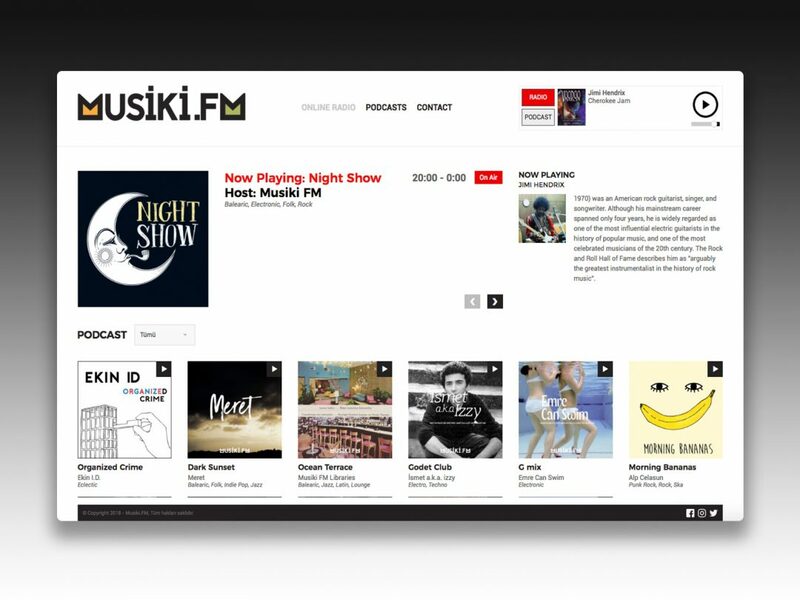 A web site has been prepared for Izmir-based online radio broadcasting radio station. For “Icecast” system, “web radio player” is prepared. Ajax navigation has been arranged so that radio broadcasting is not interrupted. Podcast audio files can be played on the radio player. The data structure of the radio programs was added to the system and content pages were prepared.